Dr. Adam Schembri is based in the Department of English Language and Linguistics at the University of Birmingham, UK. He completed a Ph.D. in linguistics at the University of Sydney in 2002. Adam has worked at a number of institutions in both Australia and the UK, including at the Deafness Cognition and Language Research Centre at University College London during 2006-2010, where he initiated the British Sign Language Corpus Project (www.bslcorpusproject.org). 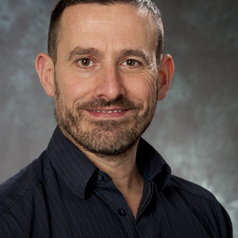 His research and teaching experience has encompassed a wide range of areas in sign language linguistics and gesture studies, including work on aspects of the vocabulary and grammar of Australian Sign Language and British Sign Language. He is the co-author (with Trevor Johnston) of "Australian Sign Language (Auslan): An introduction to sign language linguistics", and (with Ceil Lucas) "Sociolinguistics and Deaf communities", both published by Cambridge University Press.